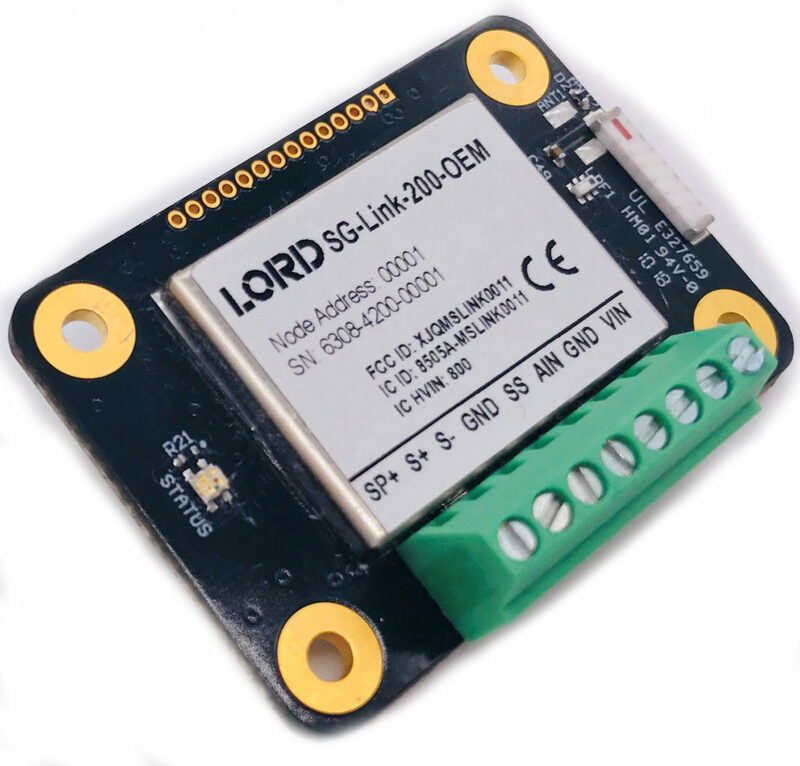 The new LORD Sensing OEM wireless nodes include strain gauge, temperature and accelerometer nodes. These nodes are supplied as PCBs, designed to be integrated into sensors or systems to enable wireless connectivity. The SG-Link-200-OEM allows users to remotely collect data from a range of sensor types, including strain gauges, pressure transducers, and load cells. The node supports data collection from 1 differential and 1 single-ended voltage input channels at sample rates up to 1 kHz. It also has a third digital pulse input for sensing RPM. The TC-Link-200-OEM allows users to collect data from a range of sensor types including Thermocouples, Resistance Thermometers, and Thermistors. The node supports 1 temperature transducer at sample rates up to 128 Hz. The G-Link-200-OEM has an on-board triaxial accelerometer with a bandwidth of DC to 1kHz, is available for configuration from ±2g to ±40g range and offers sample rates up to 4kHz. On board processing can be used to calculate and output RMS and other derived parameters. All these sensors have high resolution and low noise signal conditioning in a very small package size of about 29 x 40 x 6mm and require an external 3.3 to 30VDC supply. They are offered with the option of either an on-board chip antenna or an external antenna connector. The LXRS protocol allows lossless data collection, scalable networks and node synchronization of ±50 μsec. Users can easily programme nodes for continuous, periodic burst, or event-triggered sampling with the freely downloadable SensorConnect software, and easy custom integration is possible with the open-source, comprehensive MSCL communication and command library. The web-based SensorCloud interface may be used to optimise data aggregation, analysis, presentation, and alerts for sensor data from remote networks.